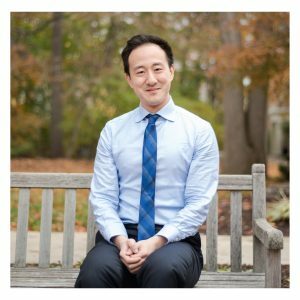 Student Spotlight: Edward Wang is a Music major at TCNJ and has immersed himself in all aspects of music. He is studying voice with Dr. Nora Sirbaugh and will be giving his senior recital on Sunday December 3, 2017 at 8:00 pm. Edward also had a leading role in TCNJ Lyric Theatre’s fall 2017 production of Sunday in the Park with George. Currently, he is working on setting Chinese poems written by his father to music, all while completing a B.A. in Music capstone project entitled “Transnationalism, Cultural Identity, and Authenticity in Tan Dun’s Marco Polo.” Edward plans on beginning graduate studies in Musicology or Music Theory in fall 2018. Tell us about your experience playing the title character in Lyric Theatre’s Sunday in the Park with George! I had never seen the show before, but I was very excited to play George. Stephen Sondheim is legendary, and this is a very relatable and really important show. Sunday in the Park with George talks about artists, and why we make art, and the struggles of choosing art in the face of all the other pressures we experience. A lot of people from the Music Department were involved in this production, so it was very fun getting to work with everyone, especially Jennifer Little. Even though I don’t plan to do musical theatre professionally, it’s always valuable having these kinds of experiences. Can you describe the project you’re doing with your father? My father wrote a narrative poem in Chinese essentially about springtime and waiting, and I’ve been working on setting it to music. It’s been really nice and has been a great experience that brought me even closer to my dad, and it also allowed me to learn about different accompaniments and melodies. I’m currently applying to graduate schools. I would really love to be a music professor. Teaching, writing, and researching are what interest me the most. What’s a memorable experience you’ve had in the School of the Arts and Communication? I really enjoyed taking a class on electronic music, which allowed us to compose and write our own electronic pieces. The school offers really diverse classes that lets your experience a variety of musical styles. What advice can you offer incoming students in the Music Department or any department at TCNJ? Don’t be afraid to put yourself out of your comfort zone. Learn a new instrument, start a new club, or join a sport you’ve never played before. Do what you’re passionate about and be open-minded, and you’ll get to experience so much.